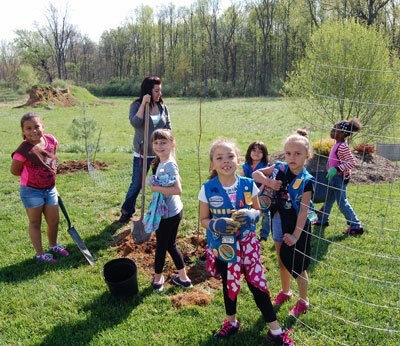 The Gallery HOA in Martinsburg, WV planted 50 trees in a 9 acre parcel that borders the playground and recreation center that will allow shade and enjoyment for years to come. 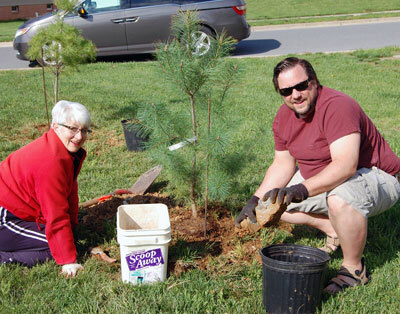 The 50 trees were a mix of native shade trees, flowering trees, and evergreen White Pines. 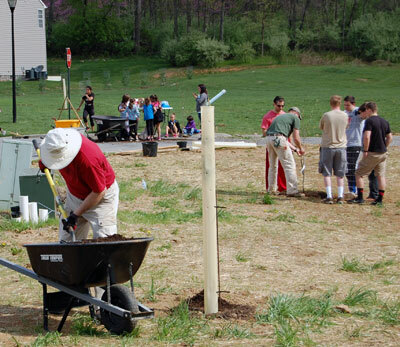 The WV Project CommuniTree Liaison, Urban Forester Liz Basham, led the group in a demonstration of how to plant trees. For this project, The Gallery HOA board was able to attract almost 80 volunteers to show up for the event. These volunteers ranged from a local Girl Scouts troop to elderly residents who reside in the community. 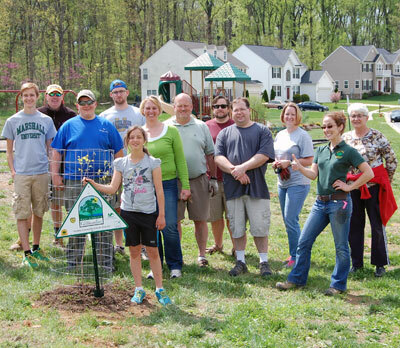 The weather was perfect and we were able to get all 50 trees planted, staked and mulched within a couple hours.